Play with your food with Betty Crocker Fruit Roll-ups! 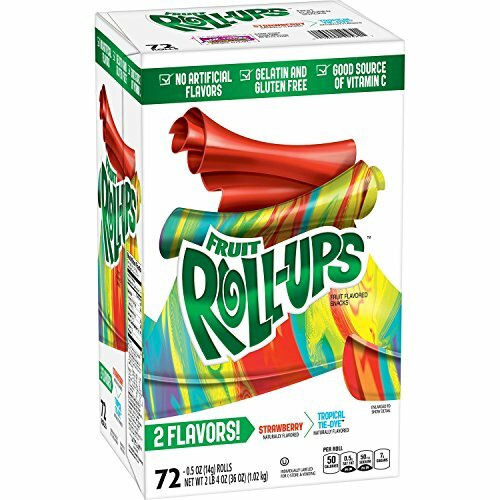 Fruit Roll-ups are individually wrapped so you can enjoy them anywhere, anytime. This variety pack contains family favorites: 36 Strawberry Fruit Roll-ups and 36 Tropical Tie-Dye Fruit Roll-ups. Great for lunch boxes, after school treats, on-the-go snacking.